I have old box files which my Dad gave me, as he knows I don't like anything being thrown out which can be recycled or upcycled. 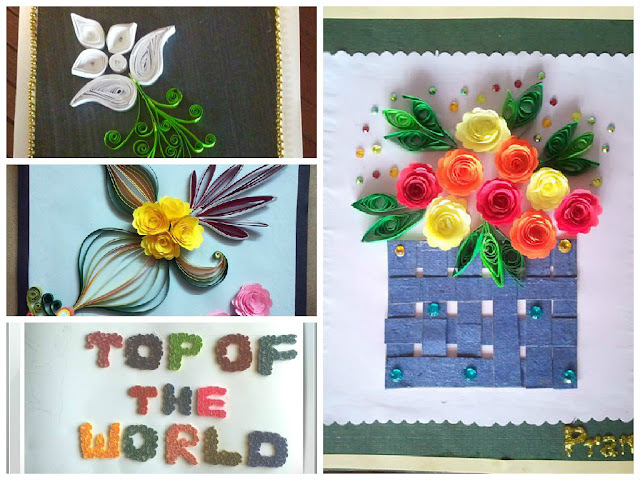 One of my friend makes lot of quilling projects on single sheets. I always thought she could probably keep her projects in an album style file. 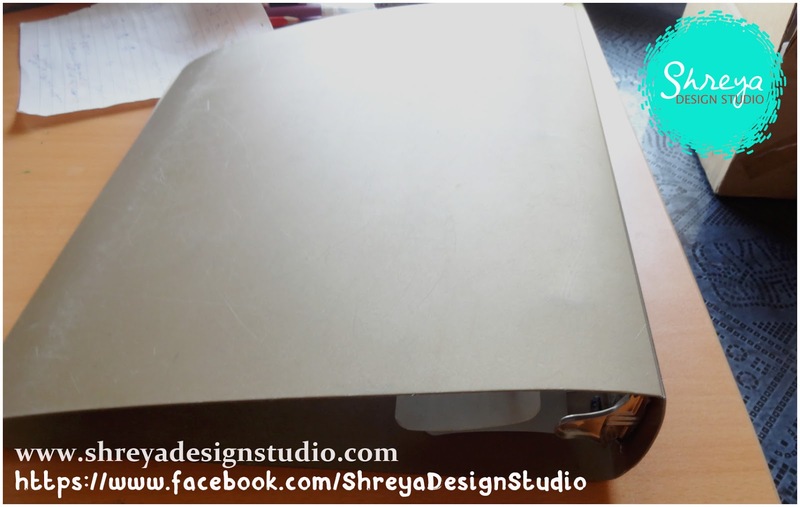 So instead of just filing up those projects in the box file I though of making an attractive cover for it. 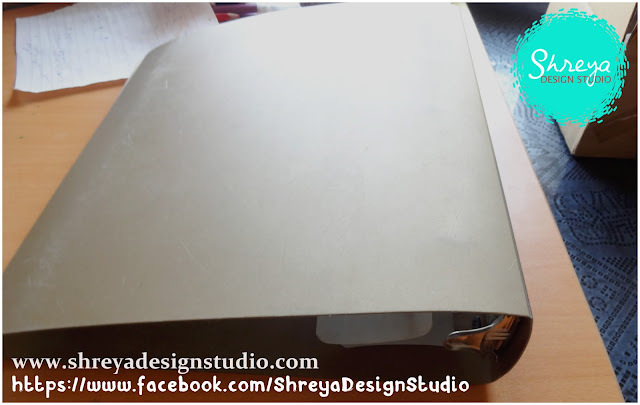 When I gifted it to her, she was sweetly surprised! 1. 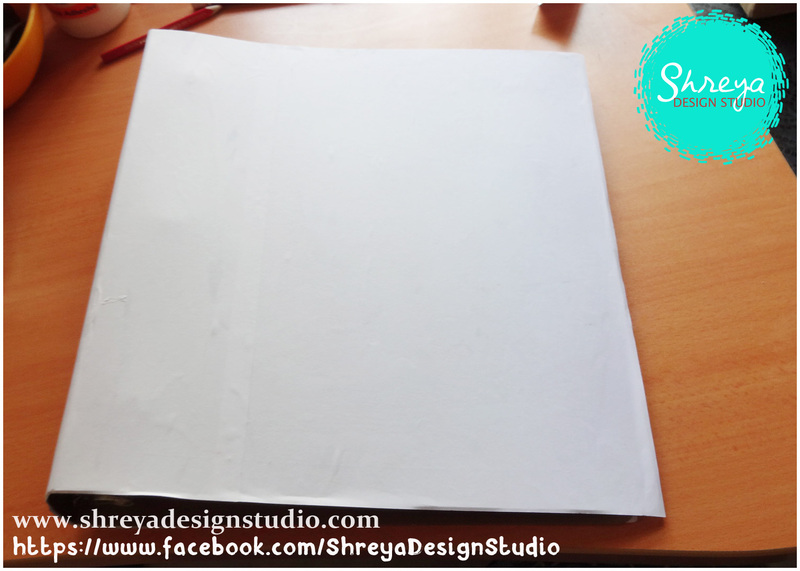 I took an old box file and covered it with white sheets (white A4 papers) as the first layer. 2. I covered it with pink crepe paper as the second layer. 3. Pasted letters 'quilling dreams' and painted with my finger around the letters. I used acrylic colors. 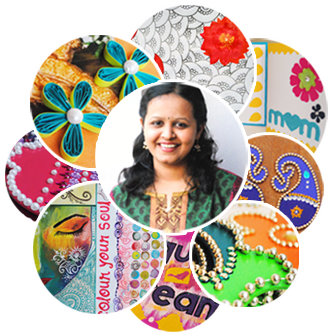 Further beautified with some paper designs or paper cutouts.